Do you love your smile, or could it use some work? Everyone wants a beautiful smile. It can change your life. When you look at a person who has a gorgeous smile, what do you concentrate on? Is it the bright shade of white that attracts your eyes? Does the alignment match up so perfectly that it’s hard not to stare? Chances are, that person with the beautiful smile had work done. Sure, it’s entirely possible they’ve kept their mouth in perfect condition their entire life practicing excellent dental hygiene and watching what they eat. But, let’s be honest, how many of those people exist? Our cosmetic dentistry services are designed to make your teeth appear beautiful. If you have a big event coming up or want to nail your next job interview, you should look into receiving cosmetic treatment. Our office in Colorado Springs, CO invites you to freshen up your smile with our excellent dental services. Are you ready to get a smile that will turn heads? Now’s your chance! From porcelain veneers to teeth whitening, Colorado Springs residents have top-quality cosmetic dentistry services at their disposal. Your teeth go through a lot. Whether they’ve been injured or discolored from eating and drinking various things, an unsightly smile can leave your confidence hanging in the balance. It could get to the point where you would rather hide your smile than risk anyone else seeing it. We don’t want you doing that! Your smile is an outward expression of your personality and how it looks is important. When teeth are damaged or are suffering from decay, something needs to be done about it. Have you ever seen a celebrity, politician or other popular figure with a questionable smile? No. They keep theirs looking spick and span with cosmetic dentistry services. Dr. Richard Anderson and his son, Dr. Erick Anderson, form a cosmetic dental team that makes the entire office feel like a big family. They’re the cosmetic dentists Colorado Springs residents have flocked to for years. What services do we offer? Only the best, my friend. As you can see, there are plenty of services to choose from. Teeth whitening and porcelain veneers are popular choices, and when you receive these treatments you’ll understand why. Your smile deserves to look as beautiful as possible, and we can provide the cosmetic options that will take it above and beyond your goals. 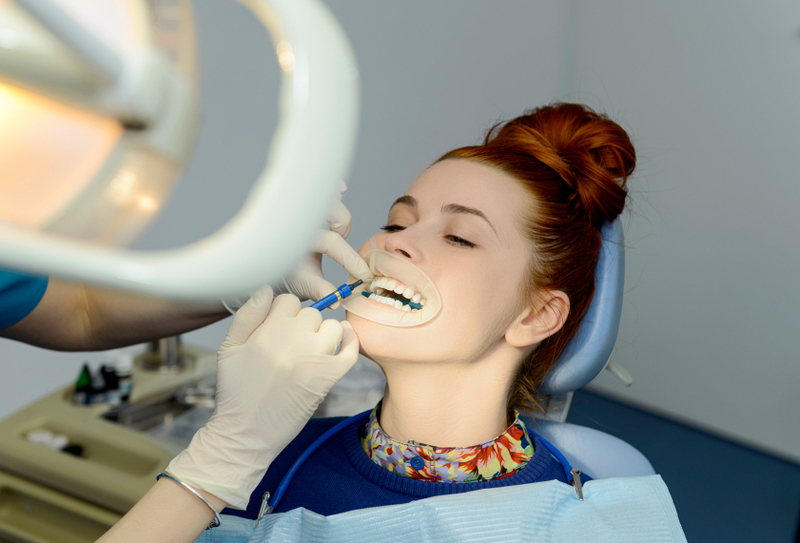 For the best cosmetic dentistry services in the Colorado Springs, CO area, we’re here for you. We’re happy to see patients from all over including Falcon, Fort Carson, Black Forest, Stratmoor and beyond.